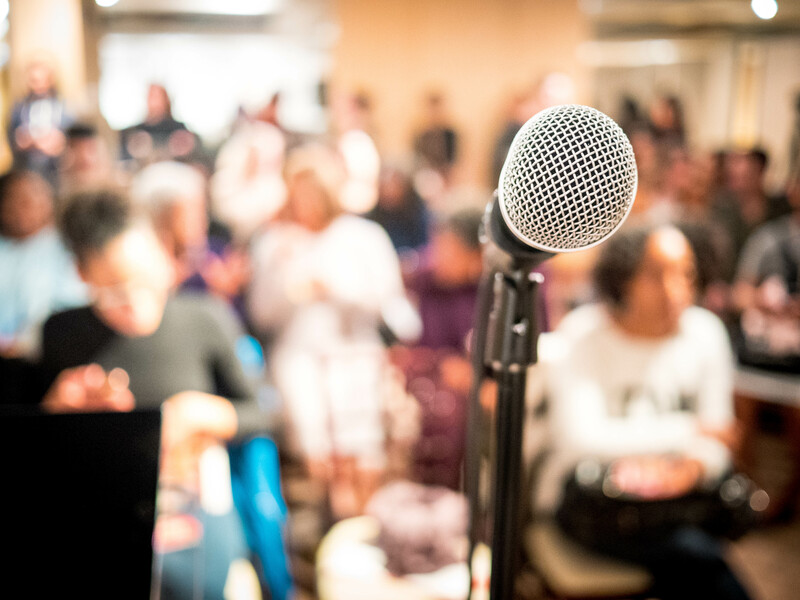 On Sunday, March 11, 2018, magic was made when I had the pleasure of co-hosting and sponsoring a poetry reading of six Black women poets who were nothing short of amazing. Six Black women stood before an audience comprised mainly of other Black women and poured into them, nourished them, validated them, and I consider myself lucky to be amongst the number. I opened that afternoon’s program by saying the two best things about me are that I’m Black and I’m a woman, and I walked away from that experience more affirmed than ever. Ashaki Jackson. Jessica “Yellawoman” Gallion. bridgette bianca. Chenel King. Saliha DeVoe. Darlene Kriesel. If you don’t know their names yet, it’s only a matter a time before their words permeate your conscience and leave you entranced much like our audience. Black women tend not to be the type to take in anything good in silence. We snap our fingers, clap our hands, lean on our neighbors to make sure they heard what was just said. That afternoon, the space we were in radiated sisterhood, motherhood, womanhood, and Blackness. For two hours we took comfort and solace in one another and made friends out of strangers and shared an experience we’re still trying to reconcile. That afternoon we were Black girl magic personified from the producer, the gracious Natashia Deon (author of Grace), to the hosts, myself and bridgette bianca, and our line up of poets, Ashaki Jackson, Jessica “Yellawoman” Gallion, bridgette bianca, Chenel King, Saliha DeVoe, Darlene Kriesel. I recounted the event to a friend of mine, telling him how well it went and he said “Great! Now do it again.” and we will do it again. Sanura is the laugh out loud, solo traveling, book-loving, owner and founder of My Lit Box. When she’s not reading, you’ll find her planning her next adventure. You can follow Sanura’s latest reads and travel on Twitter & Instagram.